Please ignore the pictures of emo girls on the home page- Dolly Dagger have some brilliant dresses and cute accessorises. I got my heart shaped sunglasses from there, and I keep going back all the time. The delivery was super quick, and there was a little chocolate bar included in the packaging! Love things like that. The first picture is a dress or a top, depending on how daring you're feeling and how fabulous your legs are. For me, I feel it would be a top with skinny jeans and a slouchy cardi, or a dress on holiday. It's by a company called E C Star and is £39. The second picture shows two of their belts. I love the colours, and they are £10 each. I'm definitely going to order one soon. They have quite a few colours including red, white and gold. My favourite section is the hair accessories. I love hair clips etc and am always on the look out for cute ones. 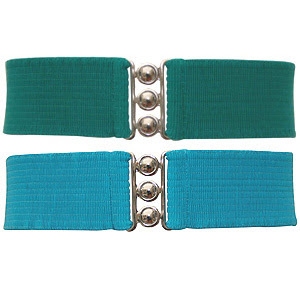 Love these hair slides, and they are £7. A touch expensive? I don't care. Anyway, don't take my word for it, there's loads on there, take a look! thanks for visiting & supporting my NEW blog...hee! 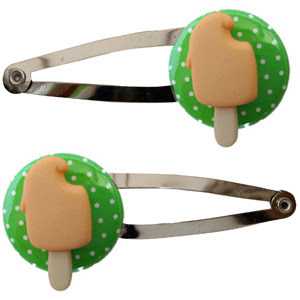 £7 does seem steep for hairclips but they looks so cute! The name of my blog used to be 'I accidentally spent my student loan in Topshop' but as I've graduated I thought I had better change it!